Long-Term Care (LTC) is a variety of services which help meet both the medical and non-medical needs of people with a chronic illness or disability who cannot care for themselves for long periods of time. Who should consider Long-Term Care Insurance? 70% of people under the age of 65 will need Long-Term Care services at some point in their lives. Any planning you do should include how you will handle getting sick and needing care. Long-Term Care insurance will not only help protect your income and assets but your family as well. When you add a LTC rider onto a life insurance policy and a situation arises wherein you would need care due either to physically or mentally needing help. Once approved, the rider will help provide for the cost of care at home, assisted living or nursing home facilities. Now the life insurance has a dual role of providing care if needed and self completes upon death. 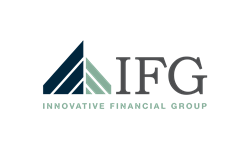 Innovative Financial Group can help review existing coverage and discuss options that include Long-Term Care protection. We help answer the question, “How well are you planned and how can you tell?” Call today for a complimentary conversation.